Can you help us ID the 'Doggie Door Bandit'? The Clackamas County Sheriff's is seeking help from the public to identify a burglary suspect who made a brazen entry into a Clackamas home through a "doggie door" -- only to be caught on camera in the act. Surveillance video is linked above. 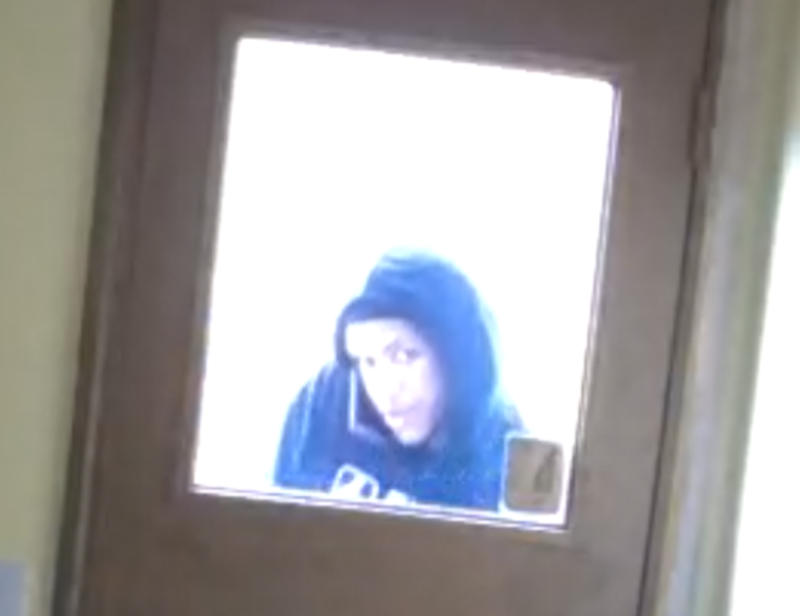 At approximately 10:30 a.m. on April 2, 2019 an adult male committed a burglary at a residence in Clackamas on SE 108th Ave. The suspect entered the residence through a large doggie door, then stole several items from the home, including electronics and jewelry. However -- and fortunately for investigators -- the victim had a surveillance camera pointed in the suspect's direction. 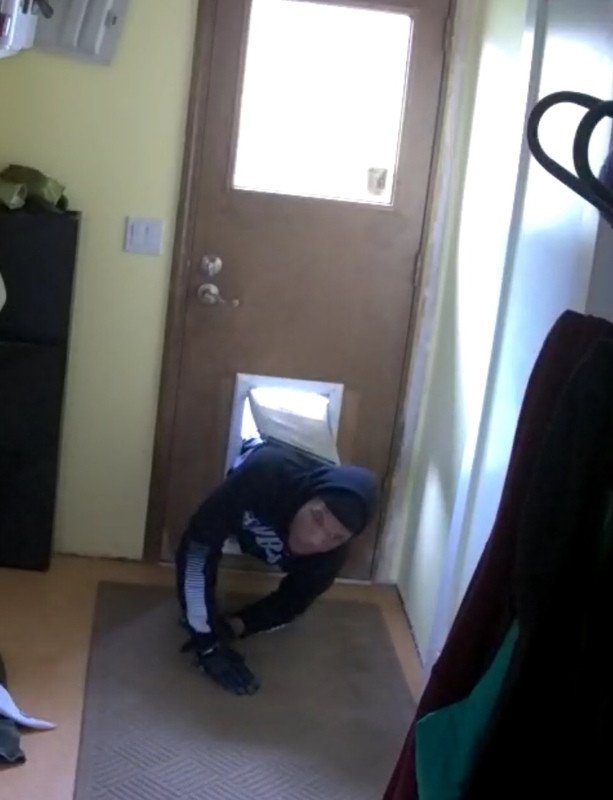 The video clearly captures the suspect looking in the window, then entering through the doggie door. 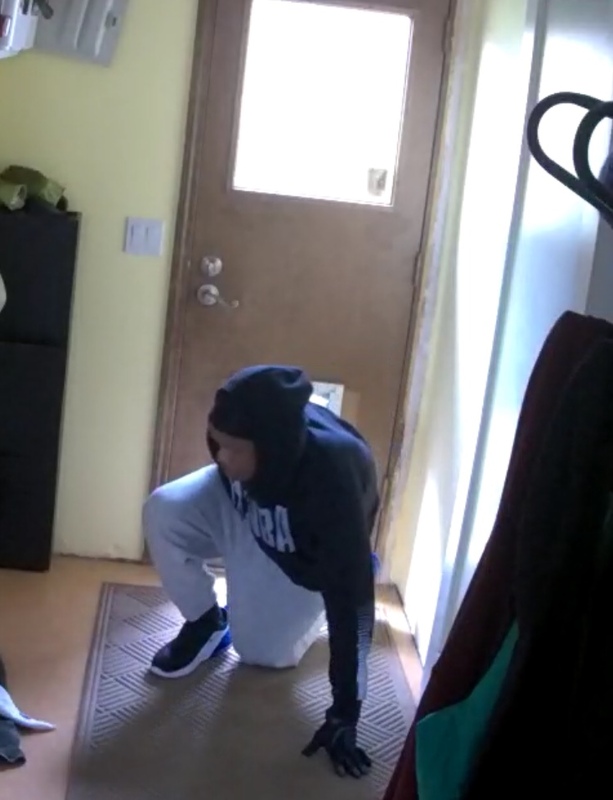 After the suspect realizes he's on camera, he attempts to conceal his identity by quickly pulling a hood tightly over his head and then covering the camera with a blanket.